McDonald's Japan has announced that a new uniform will be introduced in June, which will be the first new uniform to be introduced to franchises in Asia. An additional 27,000 crew members are planned to be hired and the dance video was posted to encourage people to apply. The video features the new uniform and it is choreographed by Papaya Suzuki of Oyaji Dancers. I have been using Google+ Communities since Day 1 when it was unveiled last year in December. Since then, I have seen the overall experience improve which each update. I am glad that Google continues to listen to the user's feedback and regularly provide updates to its Google+ platform. As a Moderator of the Google+ Anime Community, I have seen the advantages and disadvantages of the whole Google+ Community thing and I must say that I am quite impressed at how everything works. The user experience is great, but there are some things I wished Google+ Communities should implement for end-users. Changeable Community categories for posts - I would love to see a function to allow users (or only Moderators) to change the category of a user's post. This would save time having to retype a post, or remove it (because it is in the wrong category). Moderator-only section - Managing a large community is quite difficult when you have a lot of Moderators. It's hard to organise community events and Moderator-only discussion without using a separate private community. Viewable edited posts - Sometimes we make typos or make the wrong comments and having viewable edited psots allows us to see previous posts before they were edited (good for fleshing out trolls and nasties as a Moderator of a community). Multiple roles - This is more of an extra feature than a needed feature. Multiple roles that allow users to perform limited Moderator tasks but cannot directly modify the Community sidebar. Announcement system/Sticky posts - Every community needs an announcements system, whether it is news, or community changes, it would be handy to make Moderator posts sticky (a the top) of the stream. These are just some ideas I wish existed in Google+ Communities. Whether or not some of these feature may appear in future releases depends of the rest of the feedback Google gets. For now, I'm still happy with the current Google+ Communities set-up. Okay, okay. I'm sorry... not! And here's more UtaPri crack! I'm pretty proud of this. Twitter has now released version 4.0 of its Android app, and with it comes a totally new look and feel, at least for those of us with a device running Android 4.0 or higher. As you might have guessed, the new UI brings with it a visual style that is more in-line with Android “holo” guidelines. Simplicity is key here, and swiping across the screen makes it easy to switch between the four tabs: home, discover, connect and me. Is the new version perfect? Not by a longshot, but it is still a huge jump forward compared to the what we’ve seen in the past. Outside of the visuals changes, there are a few other new changes coming to Twitter such as the ability to install and launch apps directly from Tweets. Additionally, when searching or composing a Tweet, all you have to do is type “@” or “#” and it will bring up a list of suggestions for you. Okay, I can't stop giggling/going-red-in-the-face/feeling agitated/fangirling over the second season of Uta no Prince sama. For those who don't know yet, the first episode was aired early this morning. The English sub version can be found at nyaa. The boys have become so much more sexier than the first season, more innuendos, jokes, teasers and fanservice!! The songs are just as awesome. While I don't want to spam our readers with screencaps and squealing, this kind soul at tumblr pretty much summarized all the thoughts and emotions going through my head. 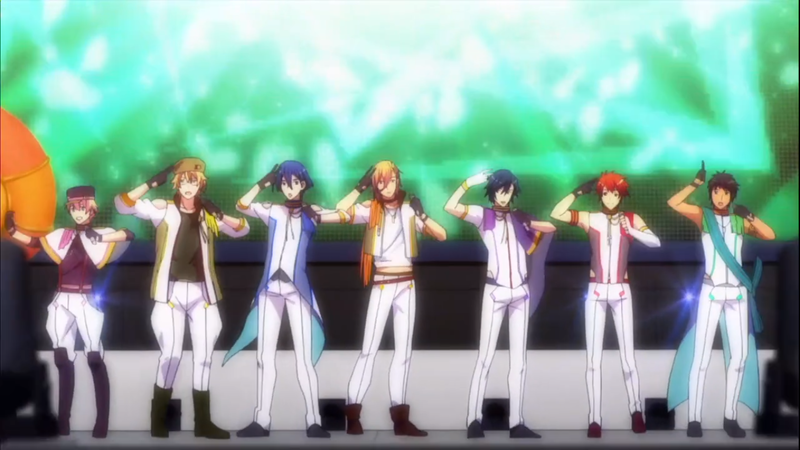 Anyway, after having a reblog spam session on tumblr, I decided to have a go at making an UtaPri crack video; Enjoy! Google Chrome for Android has hit version 26, bringing with it the ability to sync passwords and auto-fill data from the desktop browser. If you've been running the beta version of Google's browser then this may sound familiar, as it's been in testing in the beta channel for a few weeks now. Chrome 26 also fixes a bug where a blank page would be displayed instead of the requested URL. In addition, there's the standard assortment of performance improvements -- and we have to say Chrome for Android feels pretty speedy on this latest build. Google+ has turned into a thriving community for photographers and users can now upload full-size photos from their desktop browser. Back in December, full-size photo uploads were added to the mobile app which can be enabled by navigating to “Settings”, “Instant Upload”, and “Set Storage Size”. Go to Google+ and click on your photo on the top right hand side. Select “Account” and then “Google+” on the left hand side. Scroll down towards the bottom where it says “Photos” and check the box that says “Upload my photos at full size”. Below that you will notice how much storage you have used for photos. Photos larger than 2048 pixels (full-size) count towards your 5GB of free storage. Since Google+ photos integrate with Drive, full-size photos count towards your Drive storage. With extra storage options all the way up to 16 terabytes, running out of space shouldn't be a problem. While I'm trying not to die from my coughing, I managed to whip this up in 6 hours. Although I believe there is an improvement in my skills, I still spot some mistakes here and there. This just means that I have to keep on practising until I get it right. The most important thing though is to have fun and enjoy the process of drawing. Left to right: Shin, Ikki, Kent, Toma - the 4 main male characters in Amnesia.